Reinforce the message that nothing comes closer to replacing a natural tooth than a dental implant. 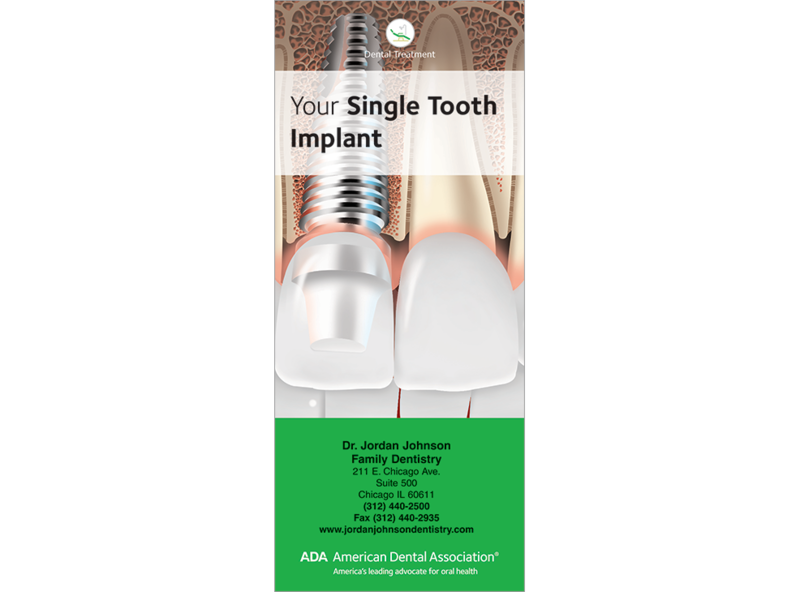 This revised brochure reviews the reasons to replace a missing tooth and illustrates the structure of a single implant. Describes the benefits of implants and reviews who is a good candidate. 6 panels. Minimum order 150. Click Add to Cart then personalize for free. Now you can add personalized information on the front, back, or both covers on all brochures.